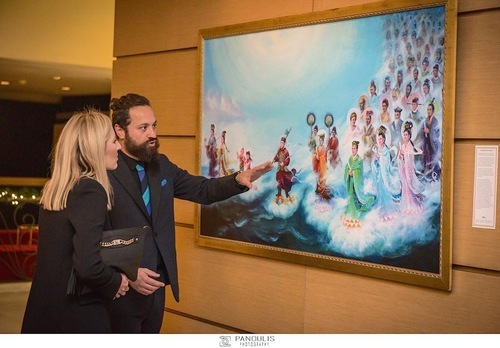 The Art of Zhen Shan Ren International Exhibition was held at the Pallas Theatre in Athens, Greece on December 15-22, 2018. The Pallas Theatre is located on one of the city’s most prestigious streets, next to the Greek Parliament. The art exhibition attracted many visitors and received press coverage. 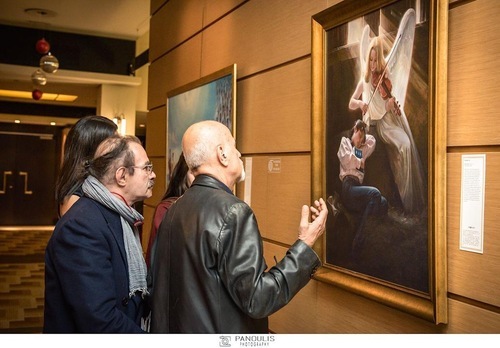 Mr. Angelos Panayiotou, one of the most renowned artists in Greece, attended the opening of the exhibition. He praised the artworks and said he hoped that people would see them because they show how precious human life is, and they are very important. He feels the artworks are the highest expression of art and the exhibition is very meaningful. “The artworks were created from the depth of the artists' souls. How could they not touch people's hearts?” said Mr. Panayiotou. He was most impressed with the serenity emanating from the paintings. Mr. Dimitris Varvaresos, another famous Greek artist, said he felt the artists were inspired by the divine. Several media outlets, including Kathimerini, Athinorama and Zoogla, reported on the exhibition. News of the exhibition was also reported online through blogs, art websites, and social media. A lifestyle website, fayscontrol.gr, wrote, “After touring more than two hundred cities around the world, a noteworthy artistic event arrives at the Pallas Theatre from December 15 to 22. 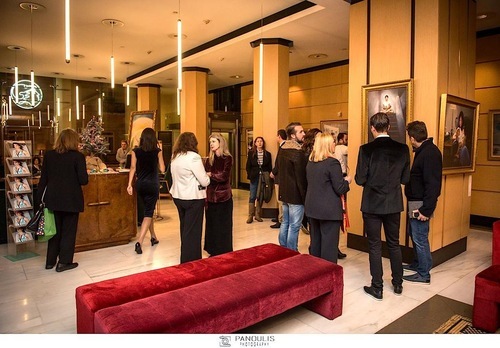 The exhibition was presented by Luxury Concierge and the Hellenic Falun Dafa Association. An article published on elculture.gr titled, “'The Art of Zhen Shan Ren': A report on the violation of human rights in China” said, “The artists are Falun Gong (also known as Falun Dafa), practitioners of an ancient spiritual practice for the cultivation of mind and body. “Falun Gong was introduced in 1992, and more than 70,000,000 people began practicing it. With so many people following Truthfulness, Compassion, and Forbearance, the three fundamental principles of Falun Dafa, China's society began to change for the better. “In 1999, however, to stop the rapid spread of the practice, the Chinese regime began to persecute practitioners. All the artworks are inspired by real people's experiences, and even the most "harsh" of them emit energy, subtlety, spirituality and a rare wealth of emotions. “The style of the works is neo-Renaissance, while their high art and themes reflect the virtuous path of the artists and the beauty of the inner cultivation of man. After hearing about the exhibition through the media, many people came to see the artworks. Others took time to view the exhibition while they were at the theater. They studied the artworks, read the explanations, and listened to the background behind each painting. The exhibition caused people to ask questions about the human rights situation in China, as well as to reflect on themselves. Wishing to learn more about Falun Gong and the persecution in China, several people took information and said they would let others know.